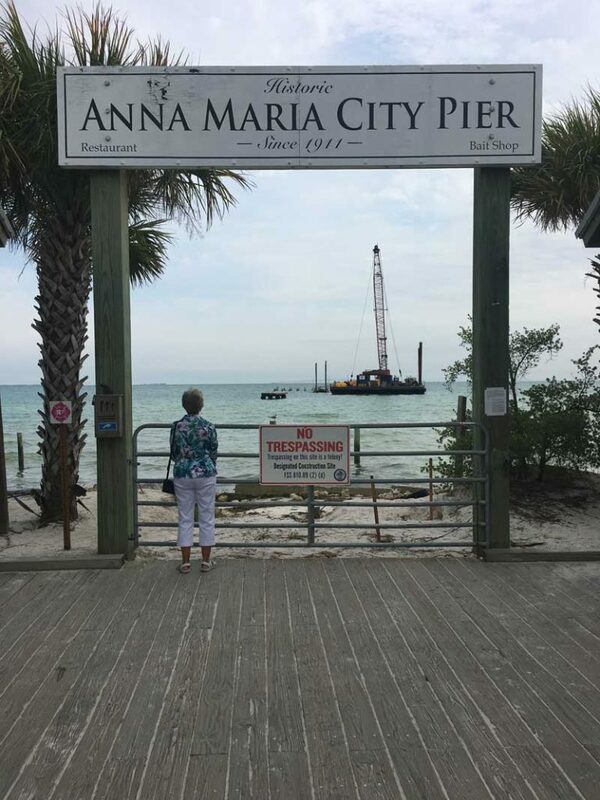 The Anna Maria City Pier takes shape in Tampa Bay. Flor Winebrenner is going to lay a golden egg. Then she’ll wait and watch for someone with a keen eye to find the prize. In Illinois, Winebrenner managed her family’s farm. After selling the 6,000-acre property to the state to expand Southern Illinois University’s agricultural education program, the retiree had quite the nest egg. Winebrenner decided to put some money into a farm assistance program back in Illinois, invest in a cottage near Anna Maria’s Bayfront Park and share some of her hard-earned fortune. Early April 1, she plans to hide the golden egg in Bayfront Park while she’s taking her regular morning walk. Winebrenner’s favorite tale was “The Goose and the Golden Egg,” not “Jack and the Beanstalk,” which also features a goose that lays golden eggs. In the Aesop fable, a countryman possesses a goose that daily laid a glittering golden egg that he sold on trips to the market. But the man grew greedy and impatient and decided he wanted more than a golden egg each day. 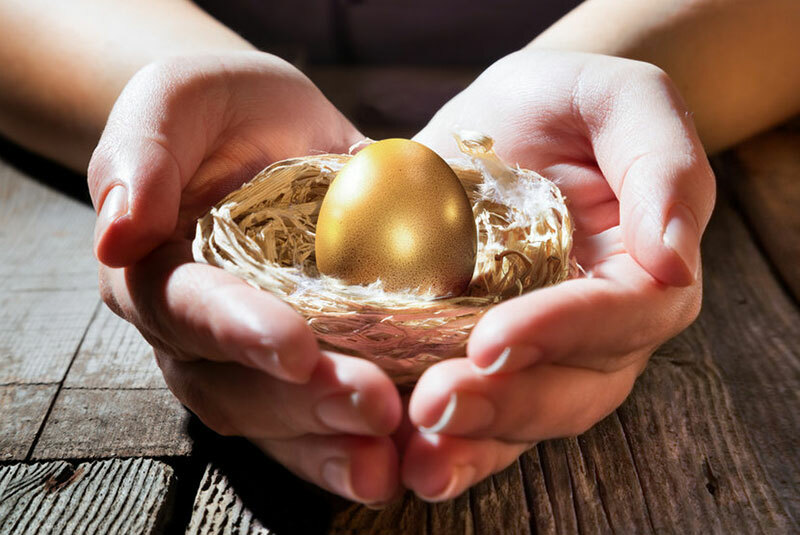 She commissioned a Carbondale blacksmith to create the golden egg to remind her to appreciate her wealth and feel compassion for the animals kept on her farm. “I’ve lived the message,” Winebrenner said. “Now it is time to pass on the golden egg, with a caution not to be the kind to kill the goose that lays them. Editor’s note: Joe Konyou is a pseudonym for Islander editor Lisa Neff. She and the rest of the staff at the newspaper wish you a foolish April 1. Holmes Beach needs a new building official. 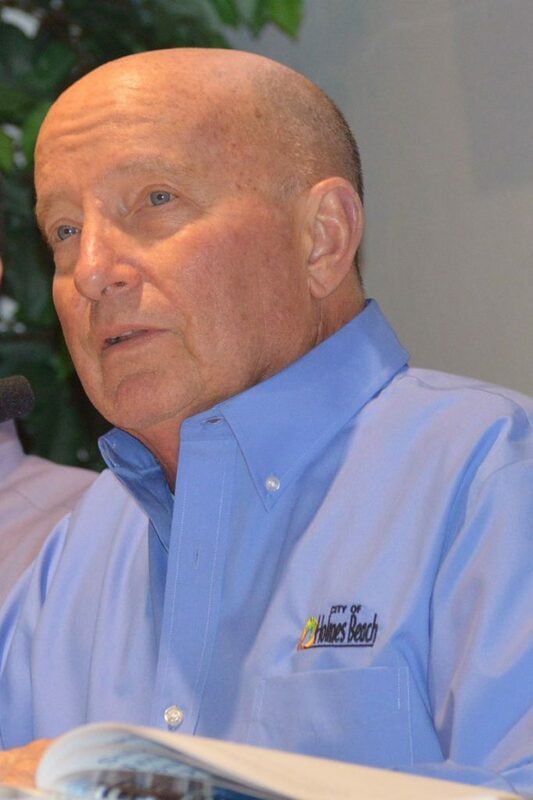 At a March 21 charter review commission meeting, Titsworth said Fernandez, formerly a planner with the city, and also the town of Longboat Key, “is wonderful,” but recently retired. Fernandez was once the superintendent of public works in Holmes Beach, before taking a job on Longboat Key. Titsworth said she will conduct a search for a persone to succeed McGuinness. She suggested the charter review commissioners consider removing building official as a charter position. Titsworth said she would prefer an employee, but she also is willing to subcontract. “I’m seeking a qualified official, with strong customer relations skills,” she said. McGuinness, who served as building official for about four years, was not available for comment. 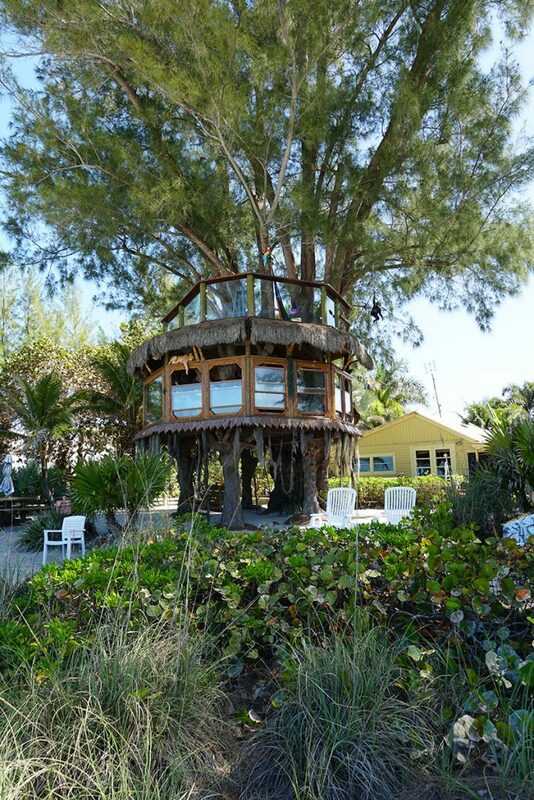 A Holmes Beach resident is taking issue with the city over her neighbor’s dock. But it appears the dispute will be decided in court or by the state, not the city. In a Feb. 20 email to Mayor Judy Titsworth, Laurie Mock of Crestwood Lane said a dock built by her neighbor was improperly permitted and the boat and Jet Ski lifts encroach on her riparian rights. Riparian rights are the interests of landowners that may attach to real property that connects to an adjacent body of water. 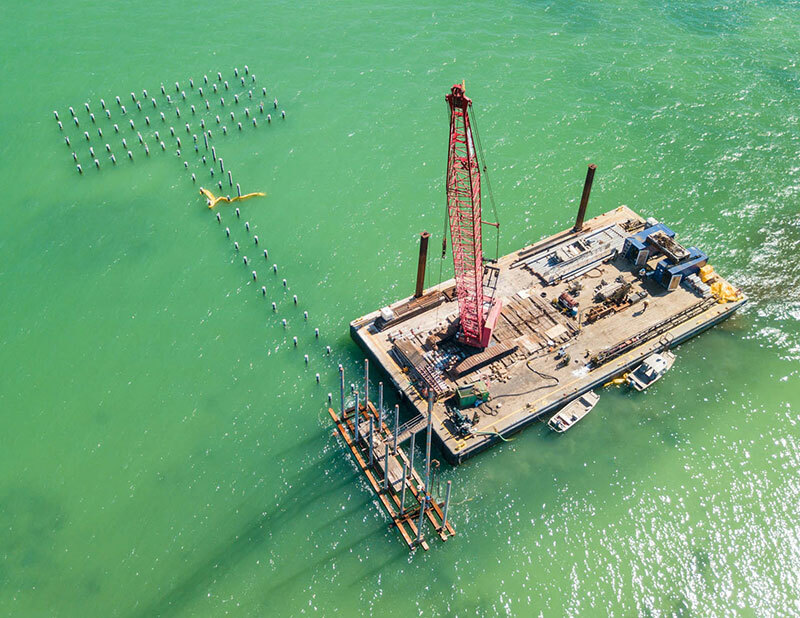 Mock wrote that a marine consultant looked at the property and said the dock, permitted by the city in November 2018, should not have been approved for construction. Plans and permits from other agencies also must be obtained. 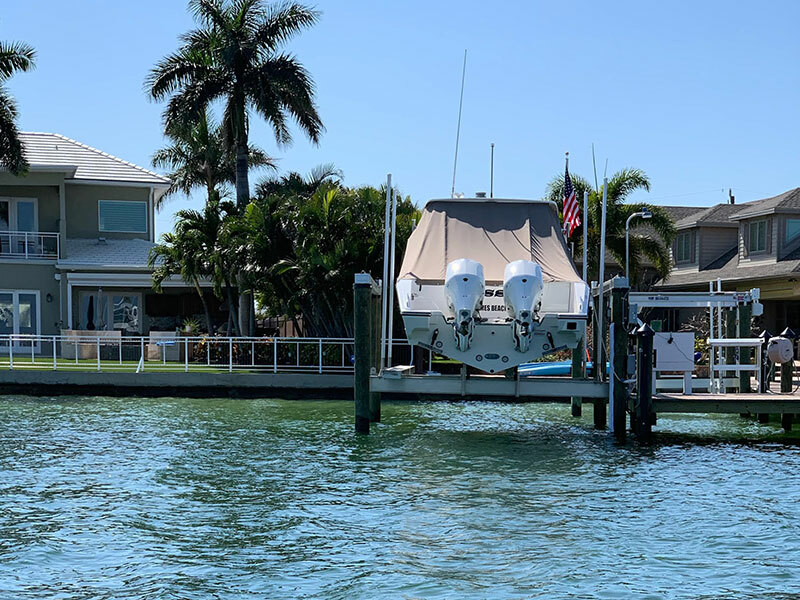 Additionally, she included a portion of the city land development code that states a dock and an access walkway must have a 25-foot setback from adjoining property lines — a requirement that Mock claims was ignored. She questioned in the email the qualifications of city staff to sign off on permits. 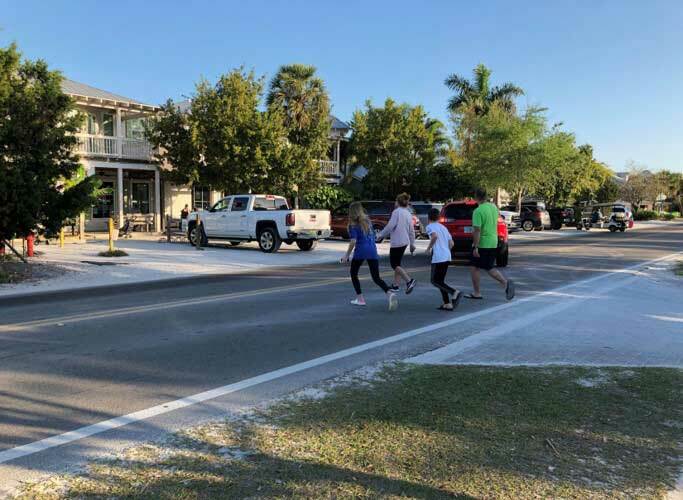 Holmes Beach Mayor Judy Titsworth responded Feb. 21 that she understands Mock has concerns with setbacks and work performed without a permit. The mayor told Mock she would discuss the dock with the city planner. Manatee County property records show the owners of 604 Crestwood Lane are Mary and Carmine Stella. The Islander was unable to reach them for comment. Titsworth responded that day that she was not sure what Mock required since the final inspection occurred and the project is completed. “Please, let us know once you hear from your riparian survey provider,” Titsworth wrote. The mayor also inquired about whether Mock was able to talk to the neighbor about moving the lifts to the other side of their dock. 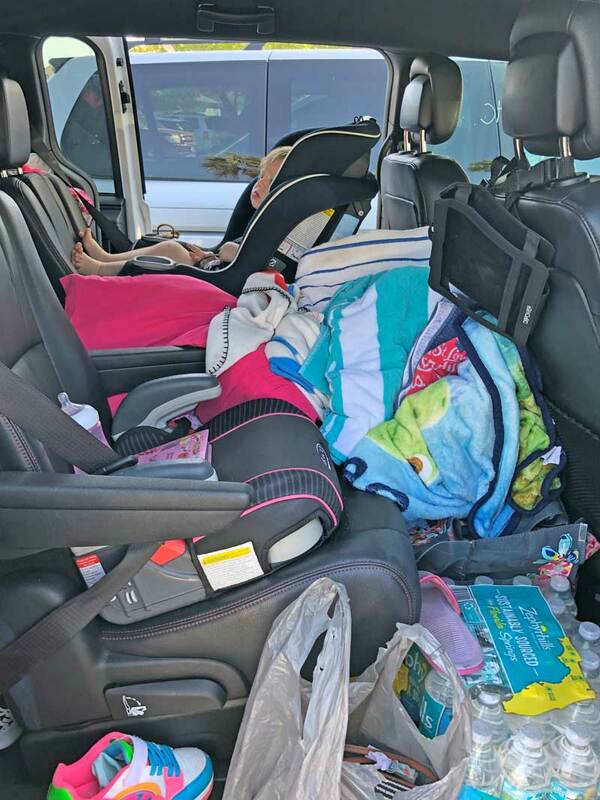 Titsworth asked to alert her of any determination by the Florida Department of Environmental Protection after its inspection and, she replied, yes, the building official — who resigned March 18 — was qualified to sign permits. Mock questioned the ability of city leaders to govern. 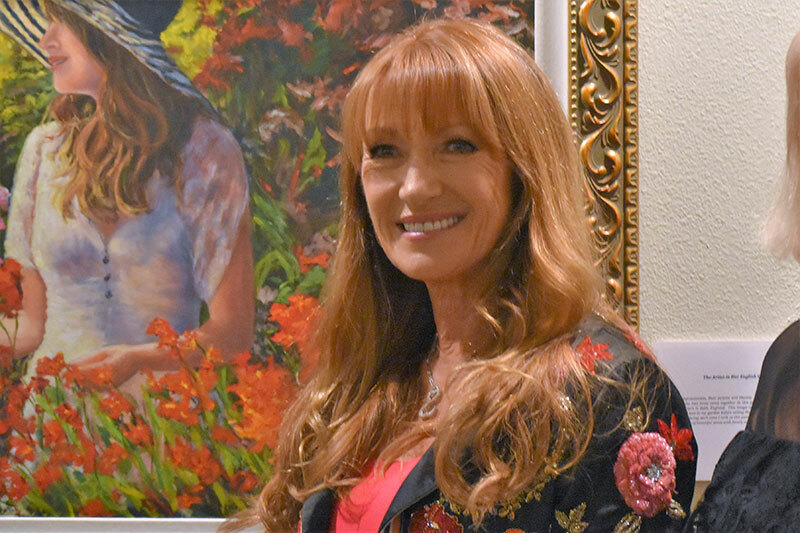 In a March 21 interview with The Islander, Titsworth said she told Mock the city’s jurisdiction stops at the seawall and riparian line dispute is with her neighbor. “My thought is, why are we issuing the permit for Florida outstanding waterways?” Titsworth asked. The mayor questioned whether the DEP exempted a permit in state waters. She also noted that riparian lines can vary depending on the surveyor. The underwater land could be state land or it could be deeded to the property owners. Mock submitted a survey of the setbacks by Leo Mills and Associates to the city. “They pay for their surveys and go to court and the judge makes the determination,” Titsworth said. Titsworth said, in the meantime, she awaits the DEP dock inspection report. 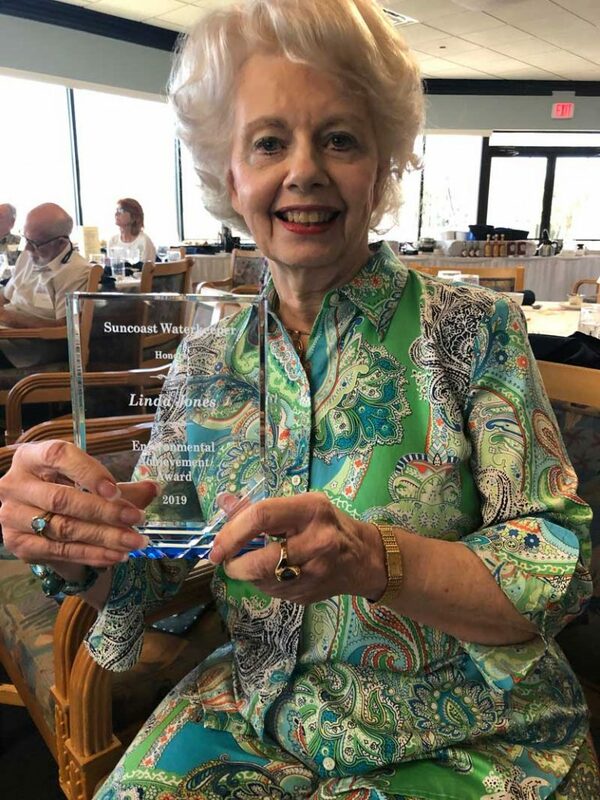 Linda Jones receives the Suncoast Waterkeeper Environmental Achievement Award March 3, recognizing decades of activism and opposition to phosphate mining and inappropriate development. Jones led the Manatee-Sarasota Sierra Club in opposition to Long Bar Pointe. 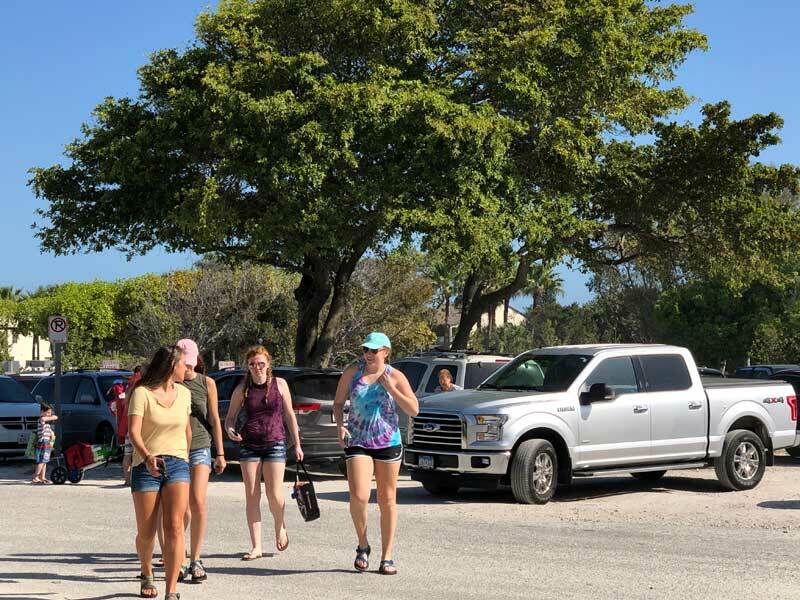 As 150 guests at the Suncoast Waterkeeper Brunch for the Bay learned March 3, the red tide bloom in 2018 was not a natural occurrence. The determining factor in today’s red tides, after all variables are accounted for, is human-induced nutrient pollution — primarily nitrates and phosphates. Nutrients are not merely a marginal contributor, as some institutions and elected officials would like us to believe. True, Karenia brevis, the toxic alga that populates the lethal blooms we call red tide is a naturally occurring organism. It is found in waters around the globe. And, yes, red tides have been documented since the arrival of Europeans to Florida’s shore. But there is a difference between the naturally occurring red tides and the rapidly growing red tides we have endured for decades. Karenia brevis is also known as red tide when its numbers become higher than 1,000 cells per liter. 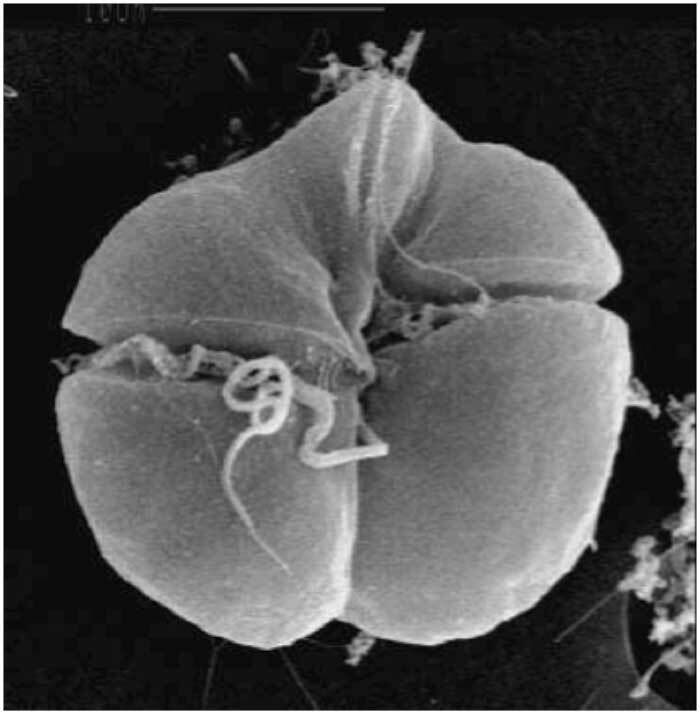 K.brevis emits brevetoxins that can become airborne in water spray and wind. At concentrations above 10,000 cells/liter, red tide can cause respiratory symptoms in humans. Above 50,000 cells per liter, fish mortality begins to occur. Above 1,000,000 cells/liter, discoloration of the water can be seen. 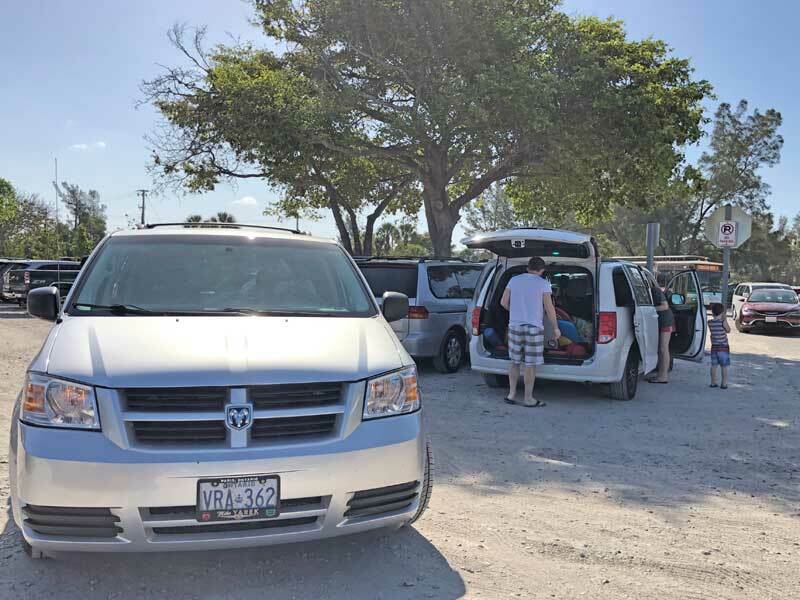 Concentrations as high as 50,000,000 cells/liter were observed during the 2018 red tide event. Larry Brand, Ph.D. and a research scientist at the University of Miami, was the featured speaker at Suncoast Waterkeeper’s annual brunch at the Bradenton Yacht Club in Palmetto. Brand explained some of the complexities of Florida’s red tide. Plants — and algae are plants — require 16 parts nitrogen to one part phosphorus. Where that 16N:1P ratio is found, there can be a natural red tide bloom. The waters on the East Coast of Florida — where the St. Lucie Canal empties Lake Okeechobee discharges thick with toxic blue-green algae — are dominated by limestone deposits and are naturally rich in nitrogen. Hence, phosphorus is required to provide the optimum 16:1 nutrient that drives algal growth. No phosphorus, no algae. Phosphorus is relatively scarce on the East Coast. However, when Lake Okeechobee’s nitrogen-rich blue-green algae enters the system from the Caloosahatchee River, the conditions for explosive growth are met. Brand lists four principal sources of nitrogen: animal waste, crop fertilizer, stormwater runoff and illegal sewage discharges. All have increased exponentially since the 1950s along with Florida’s population and development, when the first sample run was conducted by FWC. In the 1950s, less than 10 percent of the Florida coastline was developed, while the remainder was woodlands, grasslands and wetlands. Today, more than 90 percent is developed and we’re flushing pollutants into the bays and Gulf. Agricultural sources — animal waste and fertilizer — are the major causes of intense algal blooms in Lake Okeechobee. They are transported down the Kissimmee River, and pumped north from sugar cane fields south of the lake. The other two sources — stormwater and sewage — supply a steady diet of nutrients for red tide as it expands up and down the Gulf Coast. Aside from people with respiratory symptoms who may suffer chronic asthma or COPD, the effects of K. brevis are immediately noticeable, leading people to leave the area, although no long-term or acute effects are known. The only known human fatalities associated with red tide have been from shellfish poisoning. Shellfish filter water through their gills to extract food and oxygen and, as K. brevis cells accumulate in shellfish, they can be fatal if eaten. Blue-green algae, on the other hand, which is consumed by fish and shellfish, are suspected of having long-term impacts, specifically ALS or Lou Gehrig’s disease, Alzheimer’s and Parkinson’s, without short-term impacts to warn of exposure. The correlations between algae and disease are still being studied, but an environmental toxin, beta-methylamino-L-alanine or BMAA, is found in both victims of the diseases and the blue-green algae. BMAA appears to provide a causative link. And BMAA has been documented in almost all shrimp and species of fish from the areas of the red tide bloom. As a general caution, Brand suggested not consuming any seafood from areas impacted by red tide for several months after the event has subsided. 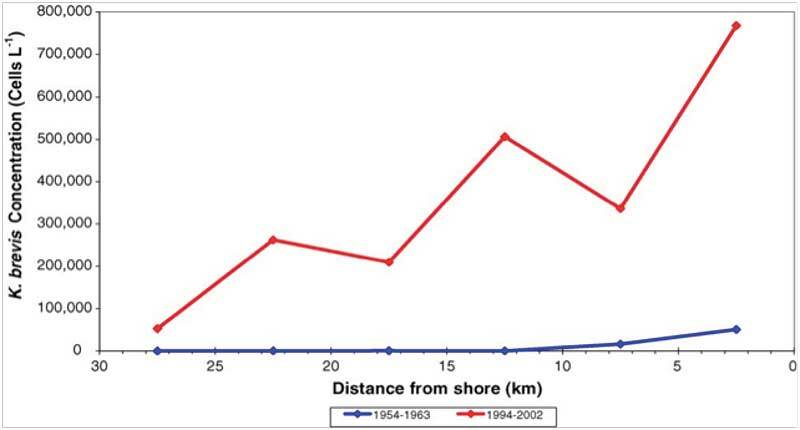 Data sets for 1954-63 are regarded as baseline “naturally-occurring” red tide, approximately what Hernando de Soto or Ponce de Leon might have seen in the 1500s — neither a threat to tourism nor an apocalyptic killer of fish and marine mammals. But today’s conditions are both, according to Brand, and it’s worsening. The ozonators, bubblers and clay sprinklers being touted by Mote Marine Laboratory and some elected officials as fixes are unproven, wildly expensive and cannot be scaled up to levels needed to treat the coastline. Brand says they appear to be strategies for developing revenue from wealthy canal homeowners, and cannot be taken seriously as solutions to red tide. He said it, and Suncoast Waterkeeper has been saying it since last summer: the only practical, meaningful and affordable solution is to stop the nutrient pollution at its source. And its true source is not at a dairy farm or a sugar cane field. It is in Tallahassee. Here’s the Waterkeeper solution to red tide. • Numeric, enforceable water quality standards and the FDEP staff and budget to enforce them. • Common-sense limits on development. • No more phosphate mining. • Elected officials who understand that as the water goes, so goes Florida. • A comprehensive water and aquifer management program, including conservation measures, pricing and limits. Brand and Suncoast Waterkeeper maintain that without action and change, there is little chance for improvement and there’s a strong prospect the state’s water crisis will worsen. Andy Mele, of Suncoast Waterkeeper, is an advocate for a better environment and responsible development in Manatee County. He is former executive director of a major Hudson River environmental group that was instrumental in forcing General Electric to remove 300,000 pounds of toxic PCBs from the river. He authored “Polluting for Pleasure,” the book that rendered two-stroke outboard motors all but extinct, keeping millions of gallons of oil and gasoline from U.S. waterways every year. He can be reached at andymele@mac.com.